UMX Keyholder Hardware Attachments: Easy Add-On Hardware For Key Holder Making. 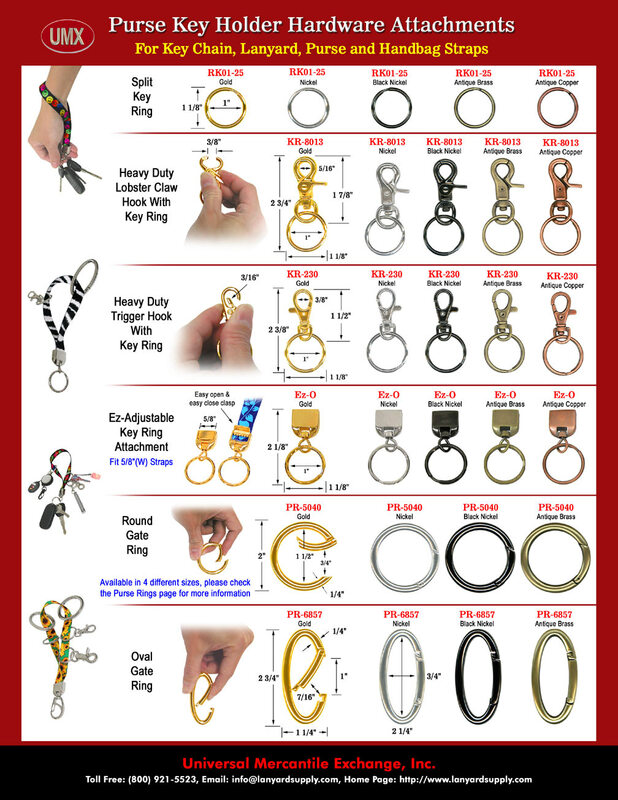 We design and manufacture a great selection of key rings, heavy duty lobster claw hooks, trigger hooks, easy adjustable keyholder attachments and gate rings for key holder making crafters and DIY individual users. There are gold, nickel, black nickel, antique brass and antique copper colors available. All of them are specially designed for easy add-on and without losing your fashion! You are viewing Lanyards > Wrist > Easy Add-On Keyholder Hardware Attachment Supplies For Making Key Holders.